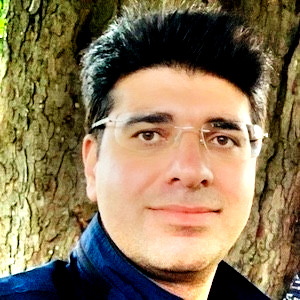 I started my PhD in Computer Science at Queen Mary University of London in January 2017 as a member of Centre for Intelligent Sensing under the supervision of Prof. Andrea Cavallaro and Dr. Richard G. Clegg, supported by Life Sciences Institute. I am also visiting Dr. Hamed Haddadi at Imperial College London as a member of DataboxProject, an EPSRC project on privacy-aware personal data platform. My research focuses on machine learning architectures for privacy-preserving sensor data analytics, particularly for time-series data generated by the portable and wearable devices. Please download my CV for more information. Mohammad Malekzadeh, Richard G. Clegg, Andrea Cavallaro, and Hamed Haddadi. • ACM/IEEE International Conference on Internet-of-Things Design and Implementation (IoTDI '19), April 15-18, 2019. Montreal, Canada. Mohammad Malekzadeh, Richard G. Clegg, Andrea Cavallaro, and Hamed Haddadi. • In Proceedings of the 1st EuroSys Workshop on Privacy by Design in Distributed Systems (W-P2DS 2018), April 23, 2018, Porto, Portugal. Mohammad Malekzadeh, Richard G. Clegg, and Hamed Haddadi. • ACM/IEEE International Conference on Internet-of-Things Design and Implementation (IoTDI '18), 17-20 April, 2018, Orlando, Florida, U.S.A.
Mohammad Malekzadeh and Hamed Haddadi. • 11th Eurosys Doctoral Workshop (EuroDW’17) ,Belgrade, Serbia, April 23, 2017. Reza Gharibi and Mohammad Malekzadeh. • International Journal of Advanced Computer Science and Applications(IJACSA), 8(5), 2017. Marziyeh Barghandan, Mohammad Malekzadeh, Atefeh Safdel and Iren Mazloomzadeh. • The 2014 IEEE/ACM International Conference on Advances in Social Networks Analysis and Mining, ASONAM 2014, Beijing, China. August 17-20, 2014. Mohammad Malekzadeh, MohammadAmin Fazli, Pooya Jalaly Khalilabadi, Hamid R. Rabiee, MohammadAli Safari. • The 5th SNA-KDD Workshop ’11 (SNA-KDD’11), San Diego CA, USA, August 21, 2011. Mohammad Malekzadeh and Mehdy Bohlool • 13th National CSI Computer Science ,Kish, Iran,2008. ◆  Our team earned first place in Imperial College AIHack 2018 for Brooklyn Housing Challenge. Nov2018. ◆  I was accepted on to the Alan Turing Institute Data Study Group, covering all the travelling and accomodation expenses, April 2018. ◆  I was awarded a grant covering registration to top-tier systems conference EuroSys 2018 in Porto, Portugal. ◆  I was accepted on to the 2nd CommNet2 PhD Spring School, covering all the travelling and accomodation expenses, March 2018. ◆  I was awarded a $30000 grant of Microsoft Azure storage and compute for one year in 2018. ◆  I was awarded a grant of $500 covering travel and lodging to top-tier systems conference EuroSys 2017 in Belgrade, Serbia. ◆  I was awarded a Ph.D. full studentship, to work on privacy-preserving personal data analytics, from Queen Mary University of London, Life Sciences Initiative in 2017. ◆  I was ranked 1th among more than 30 faculty members of engineering department at Persian Gulf University as the best teacher of the year, 2014. ◆  I was ranked 10th among more than 10,000 participants taking part in the M.Sc. entrance exam of IT Engineering in Iran, 2009. Imperial College London, South Kensington Campus. London SW7 2AZ. Peter Landin Building, Queen Mary University of London, London E1 4FZ.